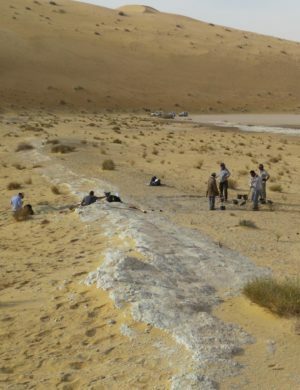 The first Homo sapiens fossil discovery from Saudi Arabia dates to nearly 90,000 years ago during a time when the region's deserts were replaced by grasslands. 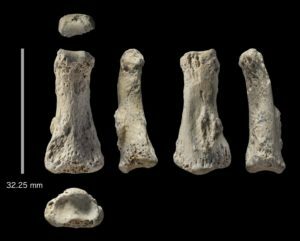 MAX PLANCK INSTITUTE FOR THE SCIENCE OF HUMAN HISTORY—A project led by the Max Planck Institute for the Science of Human History has discovered a fossilized finger bone of an early modern human in the Nefud Desert of Saudi Arabia, dating to approximately 90,000 years ago. The discovery, described in Nature Ecology and Evolution, is the oldest directly dated Homo sapiens fossil outside of Africa and the Levant and indicates that early dispersals into Eurasia were more expansive than previously thought. 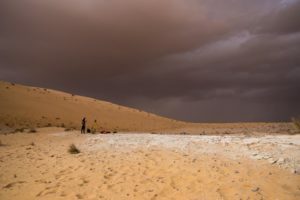 See the previously published in-depth Popular Archaeology interview with chief scientists conducting research on early humans in Arabia here.